Jack’s Peak is the highest point on the Monterey Peninsula, rising to an elevation of 1,068 feet above Monterey and Carmel. The area was named in honor of Scottish immigrant David Jacks who was a very successful and powerful businessman, land speculator and dairy owner during the 19th century. After working as an army contractor in Brooklyn, Jacks emigrated to California during the Gold Rush of 1849 and soon began acquiring thousands of acres of land in and around Monterey. Jack’s legacy may be popularly recalled for being the first to popularize Monterey Jack cheese, a local cheese first made by the Franciscan Padres and later produced by one of Jack’s own dairies along the Salinas River. Jack’s Peak County Park, located at the southern half of the neighborhood boundary is a rare native Monterey Pine forest encompassing 525 acres. In fact the park boasts the largest number of remaining native Monterey Pines in the world. The park offers over 8 miles of horseback riding and hiking trails that reward you with gorgeous views of the Monterey Bay, Cannery Row, and Marina State Beach and dunes. It is a perfect location for the outdoor enthusiast, photographer, or nature lover. The Jack’s Peak neighborhood is bordered by Hwy 1 to the west, Aguajito Road to the east, Monhollan Road to the north and open Jack’s Peak Country Park land to the south. 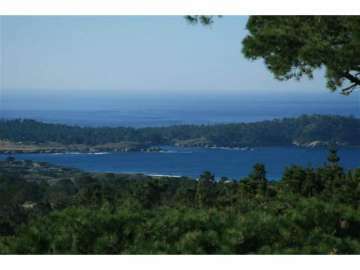 Jacks Peak is conveniently located minutes from Carmel-by-the-Sea, Pebble Beach and Monterey. Estates in this highly coveted neighborhood enjoy sweeping bay views and large, private parcels. From behind gated entrances you will find architecturally stunning homes, often with a guest cottage or tranquil swimming pool on the lush grounds. From Spanish style compounds to Mediterranean villas and stylish contemporary estates, each unique home is a private oasis. Owning a home in this prestigious neighborhood is to live in the beauty of rolling verdant hills and knolls, majestic oaks and truly elegant country living. Click here to preview all Carmel homes for sale in the Jack’s Peak neighborhood. For all available Carmel real estate, click here. 2 homes sold in this neighborhood in 2018. The most expensive home sold for 6.48 million and was a Contemporary residence with 6 bedrooms, 5.5 bathrooms plus caretakers quarters, equaling 8,700 SqFt total of living space on 6.24 acres with panoramic views of Carmel bay and Pt. Lobos. The least expensive home sold for 3.935 million for a 4 bedroom, 5 bathroom home with 5,619 SqFt of living space plus guest house on 5.2 acres with Ocean views. In 2017, 6 homes sold in this neighborhood. The most expensive home that sold, sold for 6,767,500 for a 5 bedroom, 6.5 bathroom property with 8,000 SqFt on 20 acres. The least expensive home that sold, sold for 1.46 million for a 4 bedroom, 2.5 bathroom, French county home with 4,250 SqFt of living space on 5+acres. 2 homes sold in this neighborhood in 2016. The most expensive home that sold, sold for 4.7 million and was a contemporary style estate with 6 bedrooms, 6 full and 1 half bathroom with 7,700SqFt of living space on 6.56 acres with panoramic views of the Ocean. The least expensive home to sell was a 3 bedroom, 2 bathroom home with 2,898 SqFt of living space on 1 acre and views of the Monterey Bay, selling for 1 million. 4 homes sold in this neighborhood in 2015. The most expensive home sold for 4.2 million for a meticulously designed 3 bedroom, 3.5 bathroom with 4,400 SqFt of living space on 5.1 acres, complete with Ocean views. The least expensive home sold for 1.025 million for a 3 bedroom, 2 full bathroom and 2 half bathroom home with 2,612 SqFt of living space on an acre with Ocean views. 6 homes sold in this neighborhood in 2014. The most expensive home sold for 2.68 million for a 4 bedroom, 4.5 bathroom Country French home for a 4,639 SqFt home on 5 acres, while the least expensive was a 2,800 SqFt home on 43,400 SqFt of land, which sold for $925,000. In 2013, the most expensive home sold in the neighborhood was a 7,800 SqFt home on 7.06 acres, which sold for 2.995 million, while the least expensive was a 2,799 SqFt home on 43,255 SqFt of land, which sold for 750K. In 2012, the most expensive home sold in Jack’s Peak sold for 2,55 million and was a 7 bedroom, 8 bathroom home with 7,100 SqFt of living space and situated on a 304,920 SqFt parcel. The least expensive home sold for $915,000 and was a 4 bedroom 3 bath home with 3,207 SqFt of living space, situated on an acre lot. The home had remarkable Monterey Bay views. For a detailed analysis of Carmel real estate sales, check out our monthly Community Market Reports. To live in Jack’s Peak is to live in one of the most desirable Carmel neighborhoods. Beyond being a neighborhood, it is a unique geographical area of astounding beauty and peacefulness. Imagine witnessing the city lights twinkle in the distance over the Monterey Bay and sun filled days hiking and discovering endless adventure on twisting trails through the pines. Your wonderful proximity allows you to experience the best of living on the Peninsula. From your home in Jack’s Peak you will have quick access to excellent dining, shopping and events. You may enjoy golfing one on of Pebble Beach’s 7 renowned golf courses, cycling along the coast or a beach picnic at Carmel River State Beach. Wherever your heart takes you, your Jack’s Peak home is a distinct retreat for a lifestyle of natural elegance.